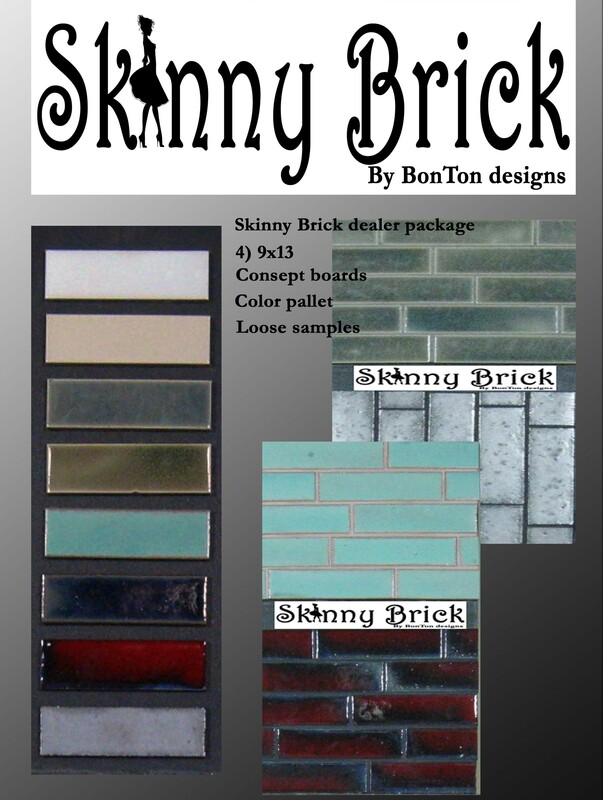 Skinny Brick is the newest introduction from BonTon designs. This beautiful and versatile new product captures the trend of today at price you’re looking for. The recent trend of having a “commercial/gourmet” kitchen in your home can be seen everywhere. Just check out Houzz online and you’ll see. High-end appliances, restaurant grade sinks, faucets and fixtures are just the beginning. Skinny Brick adds that touch to the backsplash that brings it all together! Available in 8 glaze options from “Flurry White” to dramatic “Zin Red”, there is sure to be a glaze you will fall in love with. This 2 x 8 brick will add beauty and durability to your space. Skinny Brick is also great for fireplace surrounds, wood burning stove surrounds, outdoor kitchens and so much more. Contact us to find out more about this hot item, and how it can work for you. All our products are made in our studio in Golden Valley, Minnesota.